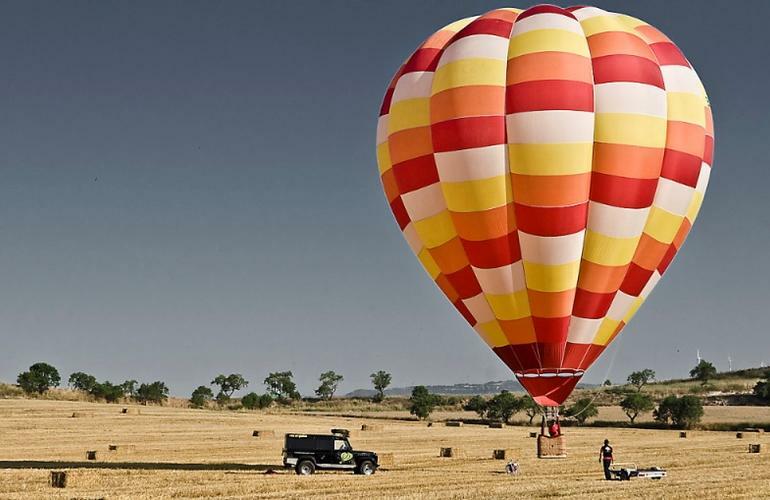 Experience Barcelona and its spectacular surroundings from above on this half-day hot air balloon adventure! 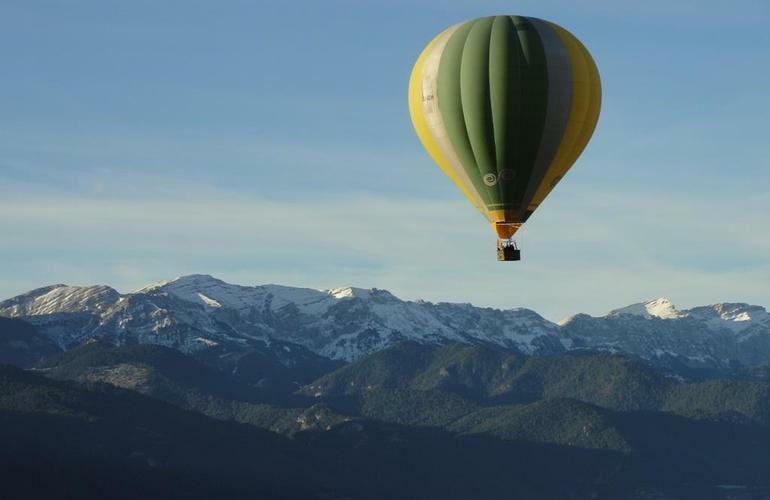 Lift off and reach heights of 3,000 feet (900 meters) above Catalonia, catching picture-perfect views of Montserrat, Costa Brava, and the Pyrenees. After your flight, receive complimentary photos from your adventure, your very own certificate, and enjoy a celebratory glass of champagne. You will meet with the staff at 7 am (summer) or 8 am (winter) at the flying area. Before take-off, you can help the team prepare the balloon. 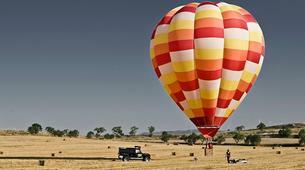 Once everything is settled and you witnessed the balloon inflating, you can get into the basket to enjoy the flight. 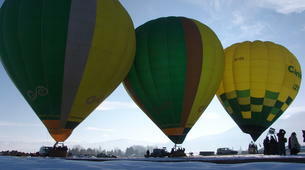 After a short briefing by the pilot, the balloon will take off. The experience is amazing, floating in the air like a bird! 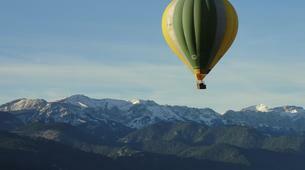 The pilot will be pleased to explain how the balloon Works and secrets of the flying area. Make sure to bring a camera so you can take stunning pictures during the flight. Once you've landed, you'll enjoy a champagne toast with some pastries while the pilot gives you a flight certificate. The pictures taken from the air and ground will be sent by e-mail. The activity has a duration of 3 hours: 1 hour of preparation of the balloon + 1.20h of flight and 40mins of packing of the balloon & toast with champagne. · The meeting point will be confirmed directly with the provider. · Starting times depend on season: 7:00am summer / 8:00am winter. · The activity can be cancelled due to climate conditions but the flight can be rescheduled. 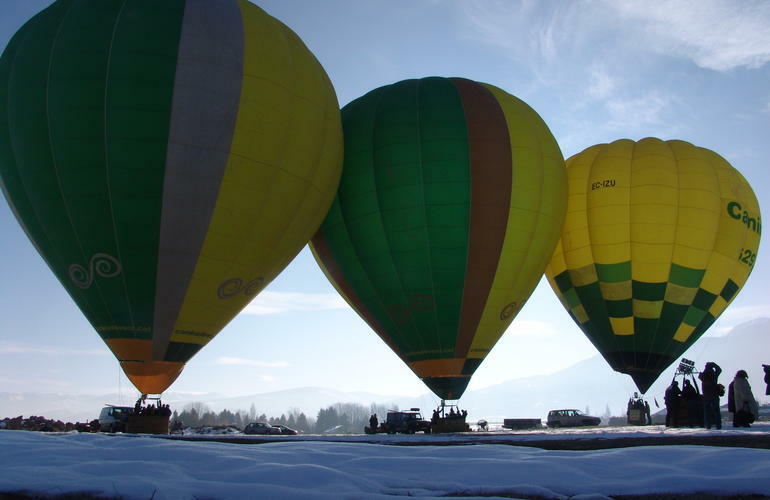 · Hot Air Balloon flights are not advisable for pregnant women. · The use of flip flops, sandals or high heels is not allowed. Truly amazing experience flying high! Flying in a balloon was fun!